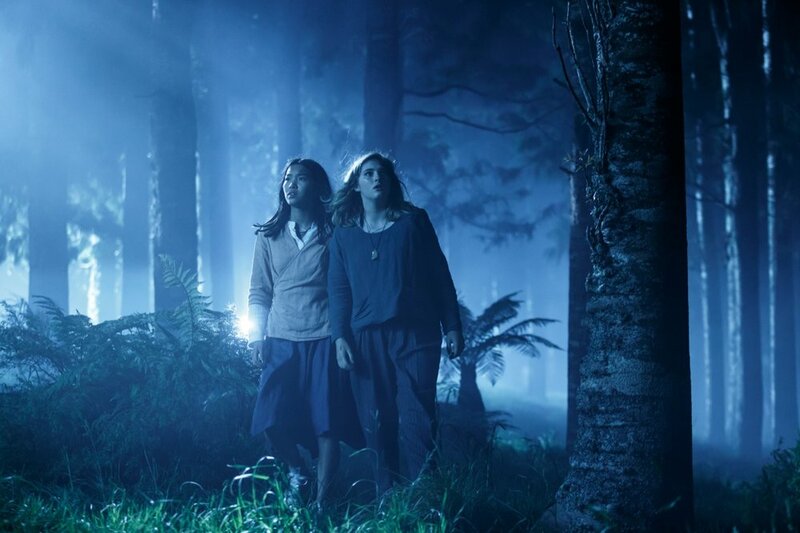 Into the Rainbowis a whirlwind action-adventure movie for families and young teens in which Willow Shields plays 15-year-old Rachel, who lives in New Zealand. Rachel’s supernatural connection to the energy of rainbows leads her and her new friend Grace (Jacqueline Joe), to investigate rainbows and weather as a science project. One day, drawn by a compelling power, they step inside an intense and powerful rainbow. Suddenly, their world is turned upside down. After a thrill-ride of a journey, they fall out of the sky into the middle of a dragon boat race in China. They are rescued by Cheng (Leo Wu) and his acupuncturist aunt, Lian (Joe Chen). The group must escape the Climate Anomalies Corporation, led by Dr Bianchi (Maria Grazia Cucinotta), a scientist who wants to harness the energy of rainbows for commercial gain. They hurtle through the atmosphere in a stormy, dark and frightening rainbow back to New Zealand, where they find themselves in a desperate race to save Earth’s eco-system from the threatening supernatural powers of the disturbed power of the rainbow. A New Zealand/China co-production, Into the Rainbow was filmed in both countries and features people and landscapes from both places.